Lekanyane plans on building a traditional guesthouse in Lesotho with stone walls and a thatched roof. Have a look at Jonno’s design plans. 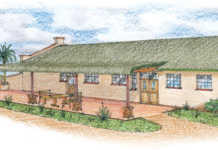 I live in Lesotho and plan to build a guesthouse in the nearby Drakensberg. 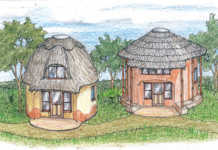 Could you please help me with the design, which should be in keeping with the traditional style of the area – stone walls and a thatched roof. I would like to start with a five-sleeper unit, a dining hall, conference facility and a bar area, which must be divided into three: a private bar, public bar and fast food and snack kiosk. 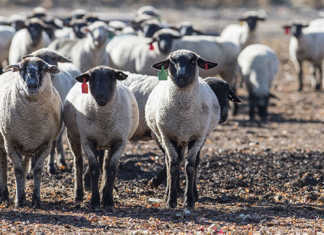 A modern kraal that can hold 15 horses must be located not too far away from the other buildings. The overall design must appeal to both local and overseas tourists, while the cost must be kept fairly low. You certainly got me thinking: traditional Lesotho styling, yet still functional, while appealing to both local and international visitors. 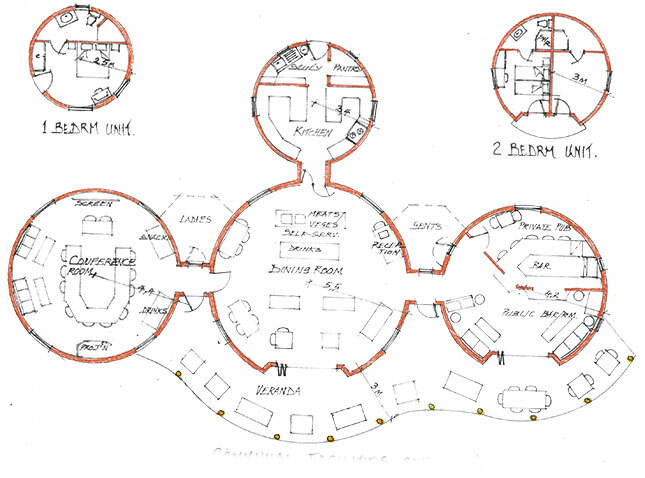 Shown here is the communal facilities arranged in four functional areas: kitchen, dining room, bar-room facilities and conference venue. The cloakrooms can be placed between the bar and dining room as indicated by the dotted lines. Alternatively, they can be located in two small rondavels at the back. Shown in the bar-room are the private and the public bar areas, as well as the fast food and snack kiosk, which can be accessed from the self-service dining room. Also shown are two versions of the sleeper units: a single and a double unit. Much depends on your potential visitors. The styling shown in the sketch is more pseudo than traditional, with only the one-bed sleeper unit styled more traditionally. 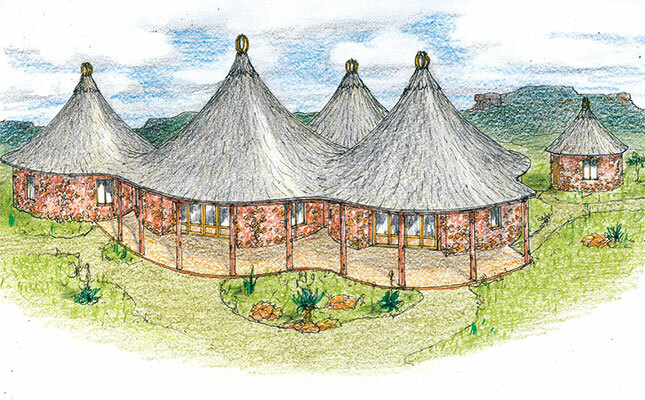 The integrated thatched roofs have to be assembled in a specific way, which I’ll detail in the final working drawings. Please contact me so that we can discuss various options, including the stabling for the horses. cell 082 412 4459 or email [email protected]. Please provide details of the proposed development. 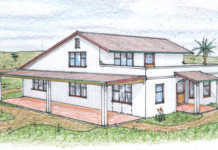 Visit hillbillyhomes.co.za.